Spectu doesn’t have to be use just for ordering. For a restaurant are waiters the most important and therefore we developed Spectu without ordering. It serves only as electronic menu or wine list, which offers your customers more comfort than paper menu. Spectu without ordering gives your customers a better presentation than ordinary paper menu. For example in a sushi restaurant customers often don’t know what to choose, because unfamiliar names of foods. 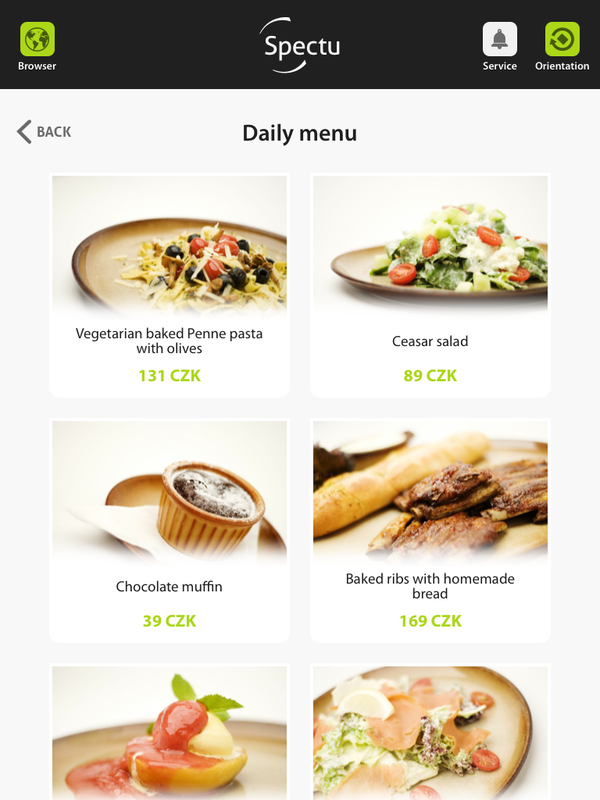 Thanks to Spectu customers can see how the food looks like and read about its history or watch a video how to consume meal properly. Presentation on the iPad give your customers a totally new experience of visiting your restaurant. 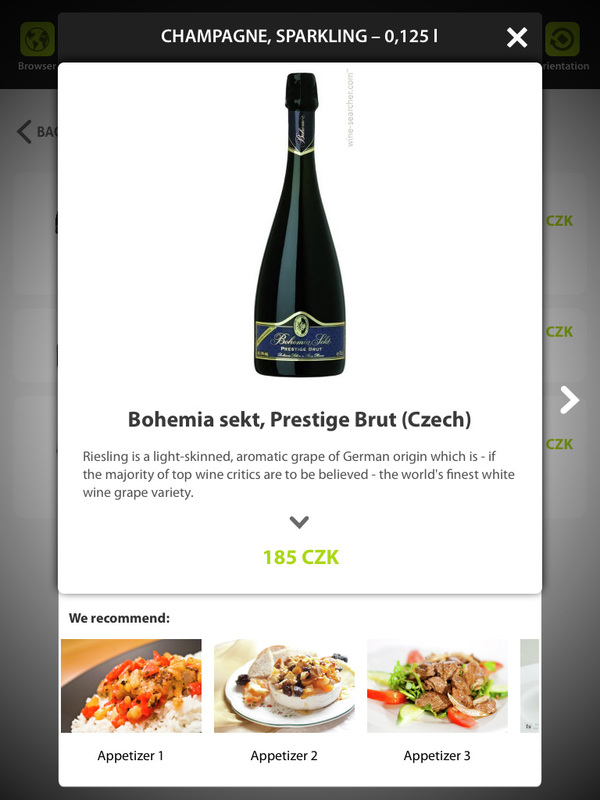 If your restaurant have a wine list, Spectu can also help you. Wine lists usually looks like as infinitely long lists of names, where just an expert is capable orientation. Supplies of wines are also regularly changing which means more expenses for printing of new wine lists. Spectu is able to present your wines clearly and your customers can choose the color of the wine, country of origin, price range and then find the right wine that match their requirements. They can see photo of bottles and labels, read the details about the history and production of wine or go for a virtual tour of the winery using streetview, which is implemented in Spectu. Your sommelier or waiter can’t pay attention to all customers in peak time so meanwhile Spectu can do their job and help you to sell more expensive wines than ordinary wine list. The proof that Spectu suit into luxury restaurants are our testimonials.